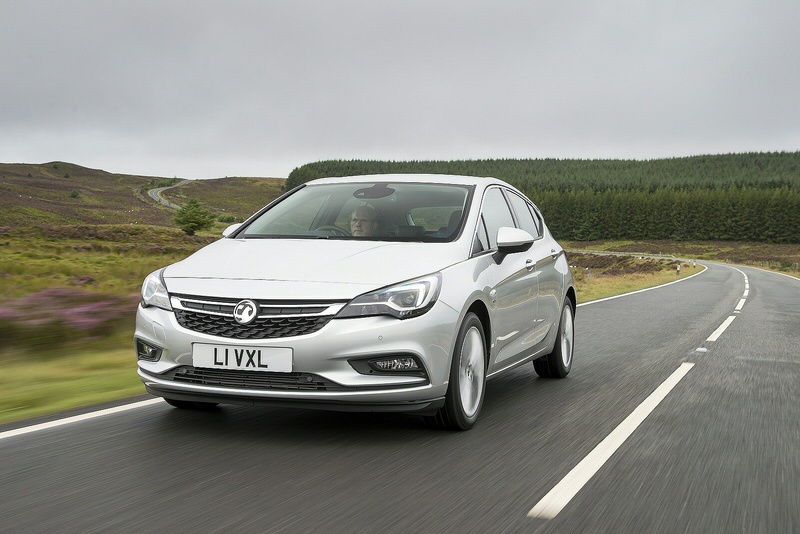 The seventh generation version of Vauxhall's Astra family hatch manages to be better equipped, more efficient and more spacious than its predecessor, plus it offers a worthwhile engine range that includes an efficient little 1.0-litre three cylinder petrol unit. Think that sounds promising? 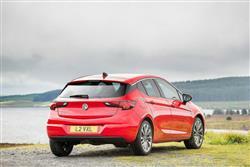 Then like us, you might think that this could be an extremely tough rival for segment-leading Golf and Focus models. 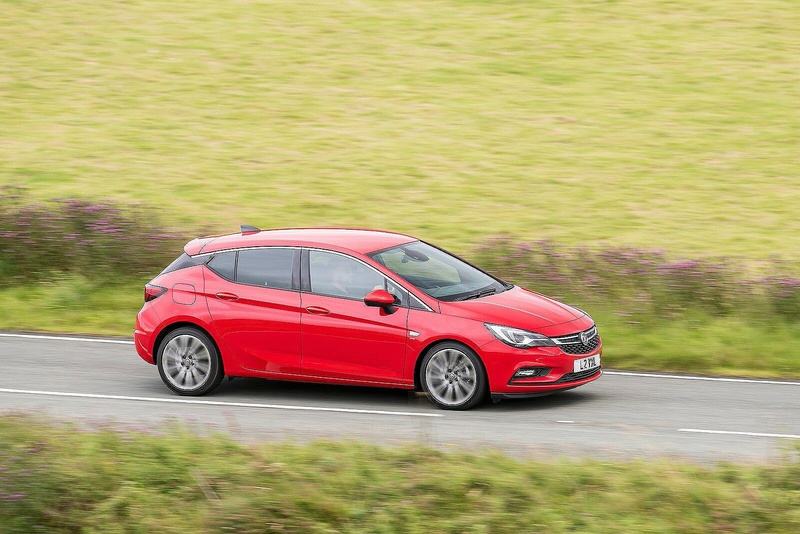 Despite Vauxhall's best efforts over more than three decades and six different generations, their Astra has rarely been the family hatchback its drivers would ideally have chosen to own. Not because it's ever been a bad car: just never a class-leading one. The kind of model you bought because it was good value. Or more likely, because you were given the keys by your company Fleet Manager. This seventh generation version was designed to do better - and the signs are that it might. As you may expect, it's smarter-looking, but more importantly, it's also up to 200kgs lighter than before, so the most frugal variant can manage over 90mpg and CO2 emissions as low as 82g/km. There's plenty of technology too, including 1.0-litre three cylinder technology, the clever OnStar system - and the Intellilink infotainment packages. Best of all perhaps, this car offers higher interior quality and claims to be sharper to drive. That's important. Manufacturers selling family hatchbacks of this kind are usually torn between trying to match the quality and comfort of a Volkswagen Golf or the sharp handling of a Ford Focus. Most end up with a compromise between the two that leaves these impressive class leaders untroubled. With this car, the GM designers claim to have done better - but have they? Let's find out. The engineers created a completely fresh platform for this MK7 model Astra but it isn't one featuring the multi-link rear suspension set-up that does so much to make a rival Ford Focus ride and handle so sweetly. The downside of that kind of arrangement lies not only in its cost but also in the way it intrudes on bootspace (which is why a Focus' boot is so relatively small). 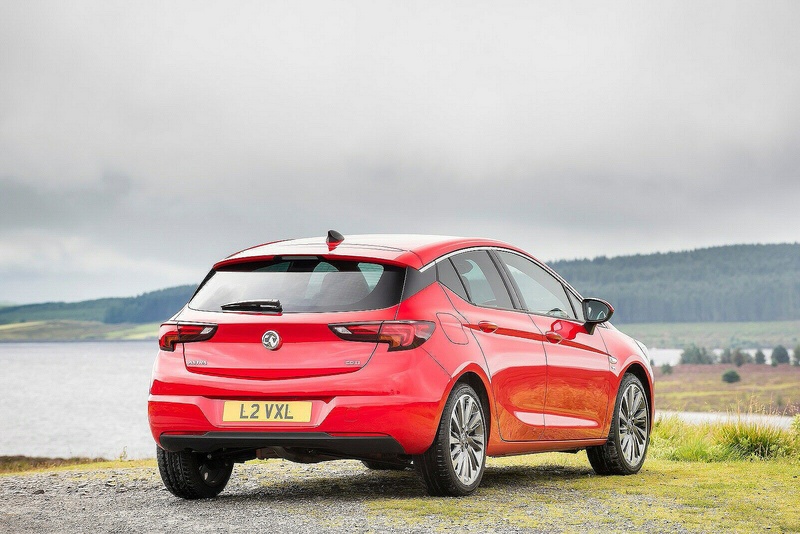 Hence the decision with this Astra to stick with the previous model's relatively simple torsion beam rear suspension system, a set-up enhanced with a so-called 'Watts linkage' feature to improve cornering stability. The engine range offers the option of the old 1.4 litre petrol unit in 125 or 150PS forms but we'd prefer the smaller 105PS 1.0-litre three cylinder unit. 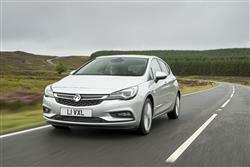 Most Astra buyers though, are probably going to want a diesel. The old 1.3, 1.7 and 2.0-litre CDTi units have been pensioned off and in their place sits the quieter, torquier 1.6-litre CDTi diesel, offered with either 110 or 136PS. Both petrols and diesels benefit from a sweet-shifting six speed gearbox manual gearbox. You know at first glance that this is a Vauxhall thanks to the corporate grille, which flows into headlights which come with the option of full LED technology. 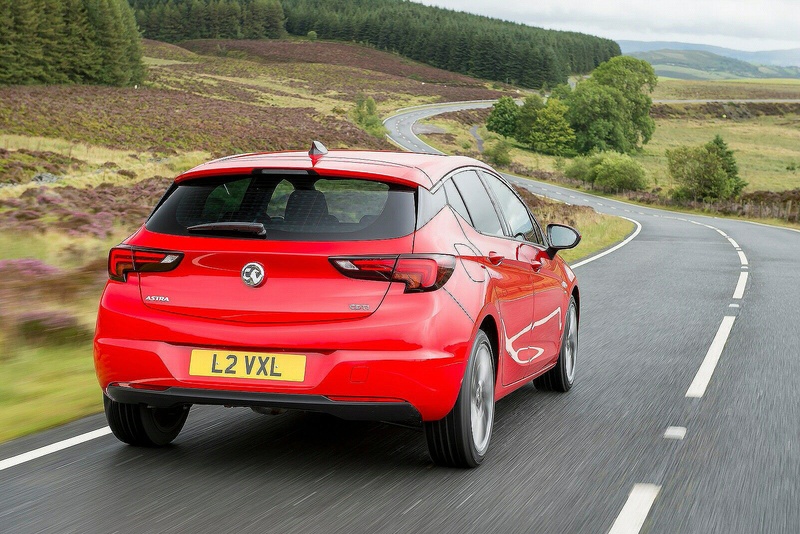 There's also the familiar 'blade' graphic stamped into the side of the body and rear lights that spread into the tailgate like the smaller Corsa. Another nice touch is the 'floating' roof, an effect created by a dark trim on the C-pillar and highlighted by a chrome strip that runs the length of the roof. There's also the option of quite a sleek estate variant, the Sports Tourer. Up-front, there's the expected smart fascia with splashes of chrome and the expected standard touchscreen infotainment screen that as usual reduces dashboard button clutter. The General Motors 'OnStar' system is available, the set-up providing an in-car Wi-Fi hotspot, 24/7 assistance from a dedicated service team and the ability to call the emergency services if the airbags deploy. Out back, there's very class-competitive rear legroom. And you get a 370-litre bpoot - or 540-litres in the Sports Tourer estate. 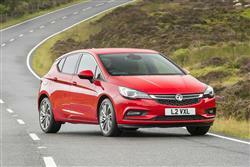 Prices start from just under £19,000 and range up to around £28,000 and there's the usual mainstream bodystyle choice of five-door hatch and Sports Tourer estate. With the latest generation hatch and estate, there are nine main trim levels - 'Design', 'Tech Line Nav', 'Griffin', 'SRi', 'SRi Nav', 'SRi VX-Line', 'SRi VX-Line Nav', 'Elite Nav' and 'Ultimate'. 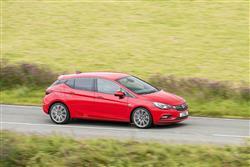 Diesel variants start around £20,500 and get the much quiet 1.6-litre CDTi engine. And equipment? Well, if you opt for base 'Design' trim, you get 16" alloy wheels, air conditioning, a DAB stereo with Bluetooth, a 7-inch touchscreen with Android Auto & Apple CarPlay compatibility, cruise control and all round power mirrors and windows. 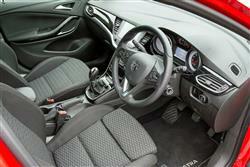 Business users will be interested in the 'Tech Line' trim that adds sat nav and a leather steering wheel. 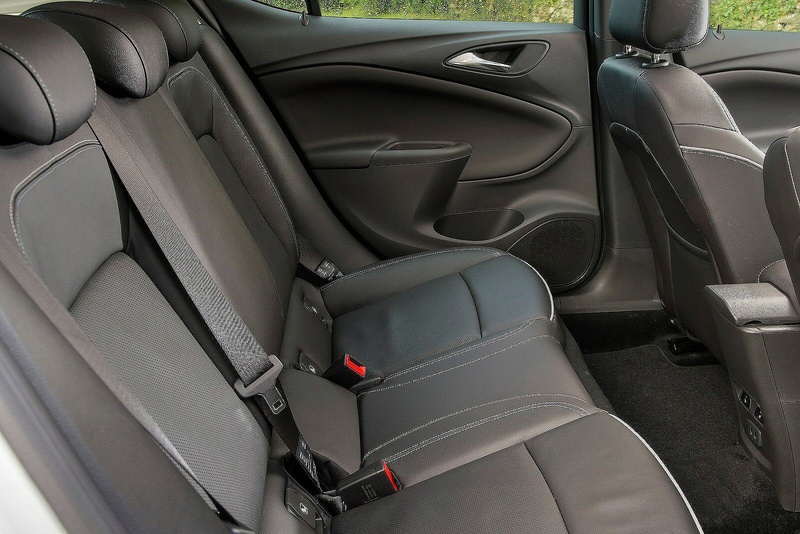 Move up to the 'SRi' grade and you get sportier wheels, a driver assistance pack, sports seats and the OnStar system that will offer help in an emergency. Top 'Elite' models gain leather electric seats that are heated front and rear, climate control and a few other luxury items. Safety kit available on plusher models or as an option includes a 'Traffic Sign Assistant' that displays traffic signs on the dash as you pass them, a 'Lane Keep Assist' system, plus a 'Forward Collision Alert' set-up with auto braking. Put simply, you're not going to find an Astra that's going to cost you a huge amount to run. Even the 1.4 petrol turbo is likely to return around 40mpg with a light right foot, while of course the 1.6-litre CDTi diesels will manage much more. The 1.0 three cylinder petrol model manages up to 48.7mpg on the combined cycle and 107g/km of CO2. If operating costs are your biggest worry then step forward the 1.6 litre CDTi 110PS diesel BlueInjection model, a car capable of up to 60.1mpg on the combined cycle while emitting only 107g/km of CO2. All fuel figures are WLTP-rated; all CO2 readings are NEDC. 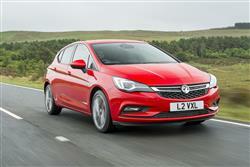 These days, Vauxhall only offers a standard three year 60,000 mile effort; the industry standard in other words. Residuals may be marginally improved by a recent extra focus on quality - we'll wait and see on that. As usual, you can help yourself in terms of model depreciation by exercising a little restraint when it comes to ticking boxes on the options list. It's very easy here to get up towards a £25,000 car without too much effort. Stick to the essentials that will make the vehicle more appealing to its potential second owner and you shouldn't do too badly. 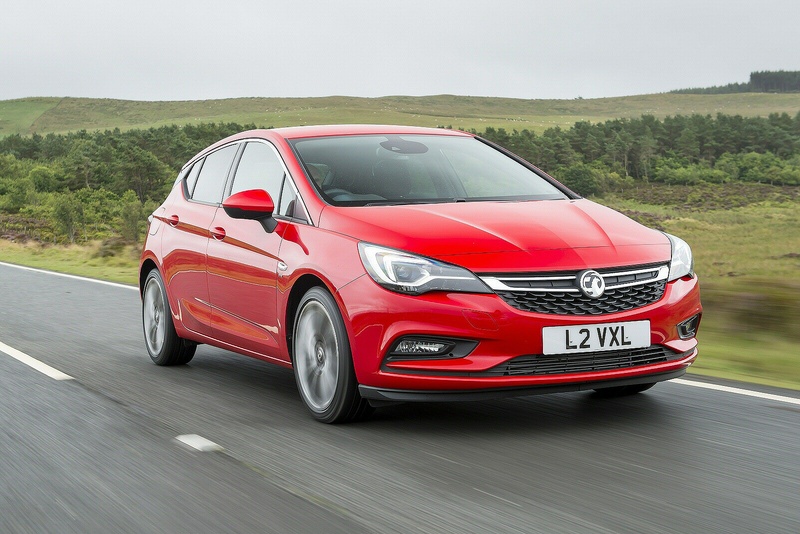 If you�re looking for a new Vauxhall Astra 1.6 CDTi 16V ecoTEC Design 5dr Diesel Hatchback for sale, you�ve come to the right place. At Bristol Street Motors we don�t just have the best Vauxhall Astra 1.6 CDTi 16V ecoTEC Design 5dr Diesel Hatchback deals, we also offer friendly advice and help with all your enquiries to ensure your buying experience is a happy experience.